Alexandre Mangeot is a French aerospace engineer. He got his engineering master degree from ParisTech Arts et Métiers university. He was hired by CNES (French space agency) for a 3-years research grant to obtain his Ph.D. Hybrid space propulsion engines was the topic of the study with both experimental and numerical approaches. He worked for one and a half year for Expliseat, a start-up to design the lightest aircraft economical seat of the market. He was mainly in charge of the design of the seat accessories. Lately, he concluded a postdoc position during which he completed his numerical approach on a hybrid rocket. 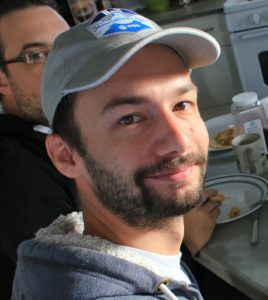 He has a previous experience at MDRS occurred in 2012 (Crew 113) and in 2014 (Crew 143) and participate in various Mars Society events both in US and Europe. During free time, he enjoys paragliding and travels. Yusuke Murakami is a Japanese designer and researcher of architecture especially designed for the extreme environment. He got his Master Degree of Environmental Design and Governance from Keio University. 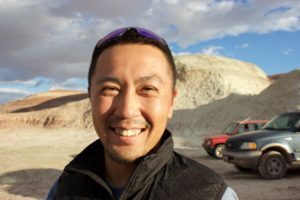 He has a previous experience at MDRS occurred in 2014 (Crew 144), and also spent 15 months in Antarctica as a geophysics wintering crew of The 50th Japanese Antarctica Research Expedition. And other expeditions in Mt. Everest Base Camp as a base camp engineer, in Mt.Fuji Weather Station as a research crew, in JAXA Isolation Chamber as a crew. After the earthquake happened in Nepal, Yusuke has started a project “Dare Demo Dome (dome for everyone)”, to supply temporally dome houses for the victims, the assembly systems inspired from a space building concept. He also has a weekly radio program “ON THE PLANET”, on Japan’s nationwide broadcast. Anastasiya Stepanova is from Moscow, Russia. She has a master’s degree in journalism from Moscow State University, studied 4 years for space journalism under Russian astronaut Yuriy Baturin. Her diploma work was “Space journalism”, the field of research was first in the history of the faculty. Anastasiya is a certified rescuer and serves in the public search-and-rescue squad “SpasRezerv”. Currently, she is taking a second degree in engineering, robotics faculty at Bauman State University. She is a co-author of the book for teenagers about space “I wish you a good flight!”. This book is an easy and entertaining way for readers to get to know about space history, life there nowadays and what to do to become an astronaut. Anastasiya is also a Mars One “round III” applicant. She participates in many different space projects to raise interest in space exploration. Her dream, alongside flying to Mars, is to unite the whole world in one goal – space exploration! Claude-Michel is from Montréal, Québec, Canada. 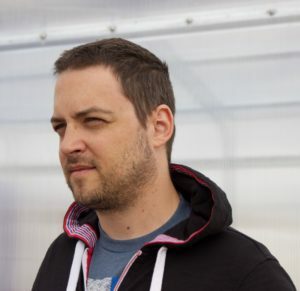 He graduated from Université de Montréal in physics in 2007 and from École Polytechnique Montréal in physics engineering in 2012. He was a participant in the 2012 Space Study Program of the International Space University held in Melbourne, FL at the Kennedy Space Center, where he helped and lead part of the ” SPACE one giant leap for education” project. Jon lives in Canberra, Australia’s bush capital, and is a general practitioner in geology. He started out life as a palaeontologist, doing honours in Silurian palaeoecology at the University of Tasmania. He then became an exploration geologist in South Australia, looking for Permian coal and Cambrian oil and sodium carbonate salts. That was followed by a Ph.D. at Flinders University in Adelaide on the deposition and diagenesis of Cambrian limestones, including fossil sponge-microbe reefs. After six months in marine surveys of the Great Australian Bight for the federal government, he joined a resource company and spent the next decade in exploration. This included looking for gold and nickel near Kamblada Western Australia, copper, gold, and zinc exploration in Queensland and South Australia, copper and gold exploration in the Philippines, Chile and South Australia, and gold in Victoria. He then taught geology at the Australian National University for several years before joining the federal government at Geoscience Australia working in salinity management in Queensland, Victoria, South Australia, and NSW, groundwater exploration in NSW, and precompetitive mineral exploration in Victoria, as well as taking part in a review of rare earth, lithium, and potash potential in Australian salt lakes. Jon has been interested in Mars since he was about ten years old, before people even walked on the Moon. 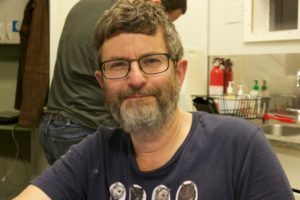 Since finding out about Mars Society Australia in 2001, he has taken part in six expeditions to inland Australia, one to New Zealand, one to India, and three MDRS rotations. His Martian interests include Martian geology and geomorphology and their terrestrial analogues, astrobiology, exploration technologies (especially habitats, vehicles, and suits), mission architectures, and human factors. He currently serves as president of MSA, is on the Mars Society International Steering Committee, and is director of science at MDRS. In the rest of his life he is married to Anna, a community maternal and child health nurse, has two grown up and married daughters, one has an MA in museums and collections and works in a local heritage library, the other is earning a Ph.D. in cancer research. They have a cat and an elderly guinea pig for company. He likes watching and reading SF, history, and the interaction of science and theology. Jon also scuba dives, hikes, and camps when he can, and is a volunteer in the local rural fire brigade. 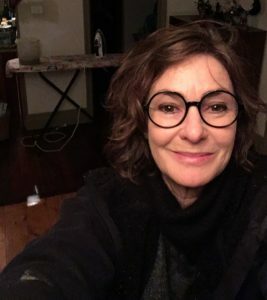 Annalea Beattie is an artist and educator who lives and works in Melbourne. Through an art practice based in space science, her research considers how art might activate isolated communities living in extreme environments, contributing to social cohesion, performance, and quality of life. Annalea is National Secretary and an Executive Director of the Mars Society Australia, a past member of Crew 118 at the Mars Desert Research Station and a participant in Spaceward Bound New Zealand 2015 and a recent crew member of Spaceward Bound Ladakh. She has contributed to three Springer volumes that explore the challenges for humans living in frontier societies off-Earth and is currently studying a Ph.D. in nonfiction at RMIT University. Anushree is originally from Lucknow, India and now based in England. Her educational journey started off as a student of literature, history, and music, which culminated into obtaining a professional training in Indian classical vocal music, a Bachelor of Arts in Ancient Indian History and Anthropology, and a Master of Arts in Anthropology. But while specializing in its biological branch (just out of curiosity), particularly the “paleo” aspect of it, exposed her to the adventure of exploration. During her graduate specialization in biological anthropology, she studied the dental morphology and its variation among the human population. 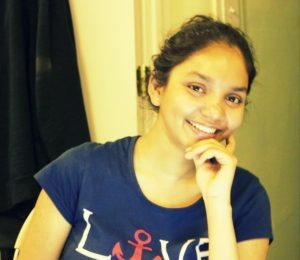 Anushree is passionate about astrobiology and space exploration. Her penchant for astrobiology and space exploration largely stems from her awareness to be awed by the wonder of life and her intrinsic desire to understand the humanity’s place in the Universe in a broader sense. To pursue her interest in the prospect of life beyond Earth, which was challenging for an art student, she joined the Master of Science program in Biotechnology at the University of Essex, UK. Here, with Dr. Terry McGenity, she conducted a geo-microbiological study of ~6 million years old halite crystals that deposited as a result of Messinian Salinity Crisis in the Mediterranean region. She is particularly interested in the biogeographical and astrobiological perspective of the Messinian halite. Her research interests include understanding the prolonged survival potential of haloarchaea entombed inside halite crystals and how this understanding can be translated into prospecting similar life in Martian chloride deposits. Anushree has been a part of MDRS Mission Support Team as a Capsule Communication Officer (CapCom) since 2014. 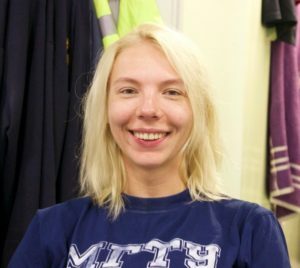 In 2015, she joined MDRS Remote Science Team (RST) and now she is a member of both MDRS Crew 172 and MARS 160 Twin-Analog Mission as Crew Biologist. She has served as coordinator of United Nation’s International Year of Water Cooperation (IYWC) India Program 2013. Anushree is a core member of the organising committee of Astrobiology India initiative, which is aimed to encourage and promote awareness of astrobiology and space sciences in India, to extend education and outreach efforts, and to strengthen the Indian astrobiology community worldwide. She is also part of NASA Spaceward Bound India Expedition 2016, as a member of both science and coordination team. She enjoys Indian classical music, travelling, bird-watching, painting, photography, and reading. And she is a huge admirer of Gibran’s poetry. Paul Knightly is an environmental geologist and is currently working on a Ph.D. in Planetary Science at the University of Arkansas. He brings extensive experience working as a field geologist monitoring groundwater and soil quality and will be seeking to better understand the permafrost and ice conditions in the vicinity of FMARS. 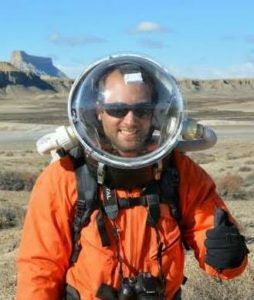 He served as the Crew Geologist and Commander at MDRS on Crew 142 in November 2014 and joins other crewmates from Crew 142 on MA160. Recently married, Paul is enjoying life as a newlywed with his wife, Jessica, at their home in Fayetteville, Arkansas. In his spare time, he enjoys an array of outdoor activities and developing his skills as an amateur landscape and weather photographer, which includes spending a few weekends each spring storm chasing across America’s Great Plains. Shannon Rupert is an ecologist with almost two decades of Mars Analog field experience. 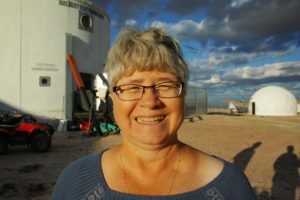 She currently serves as the director/program manager at the Mars Desert Research Station after 15 years of teaching at several colleges. She is the principal investigator of the Mars 160 mission. Her research interests include ecological systems, place-based knowledge and remote science communication and collaboration. She is completing her Ph.D. in Stream Ecology this fall at the University of New Mexico and has an M.S. in Plant Biology from California State University San Marcos, a B.S. in Ecology and Evolution from the University of California San Diego and an A.S. in Biology from San Diego Miramar College. She spends her free time with her dogs and horses and weaves in the Navajo tradition.